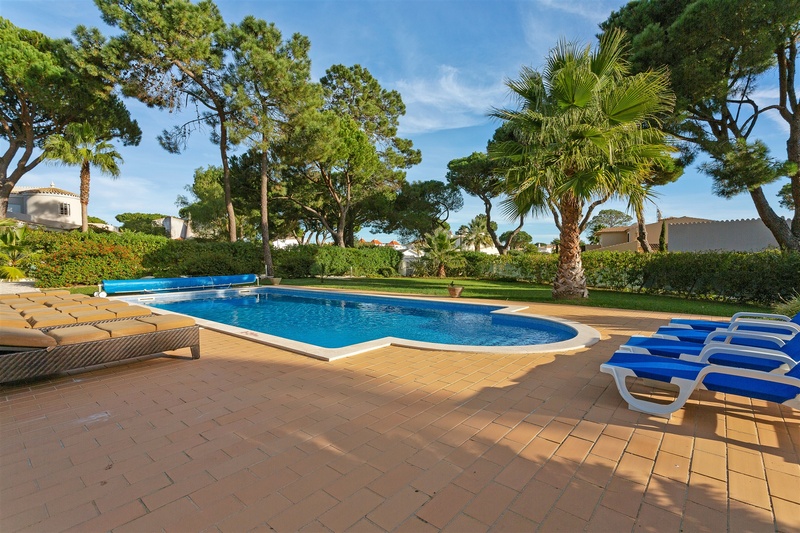 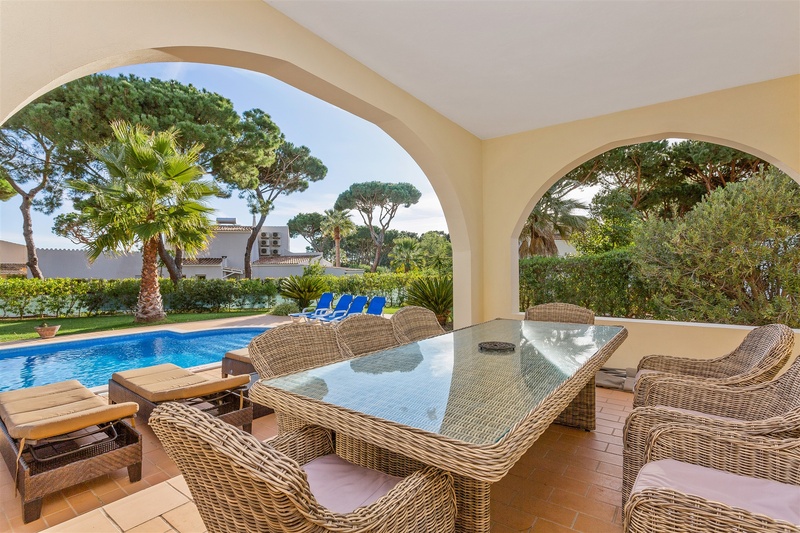 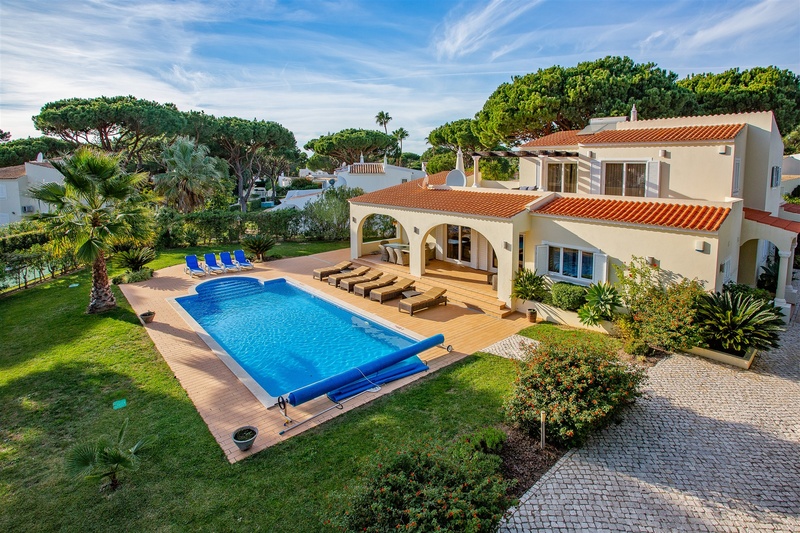 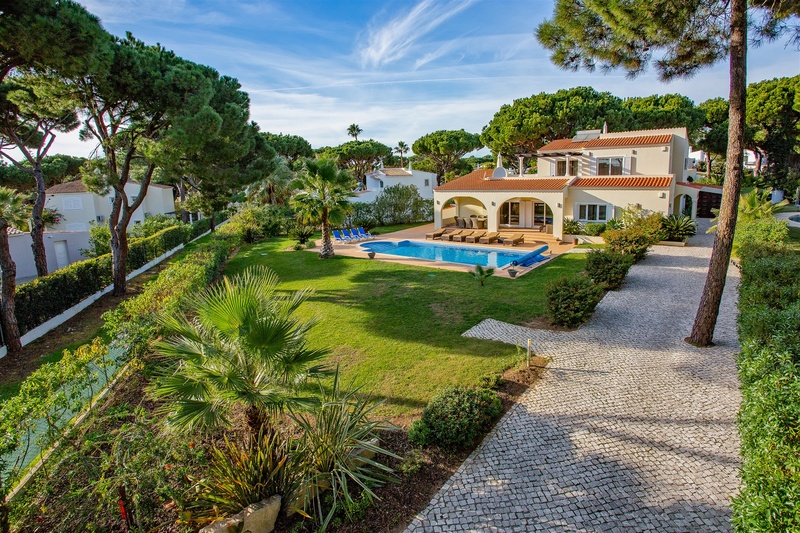 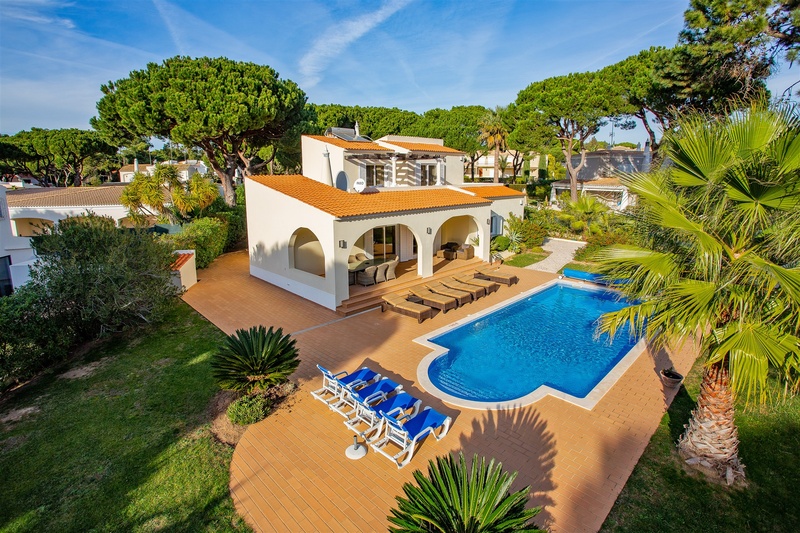 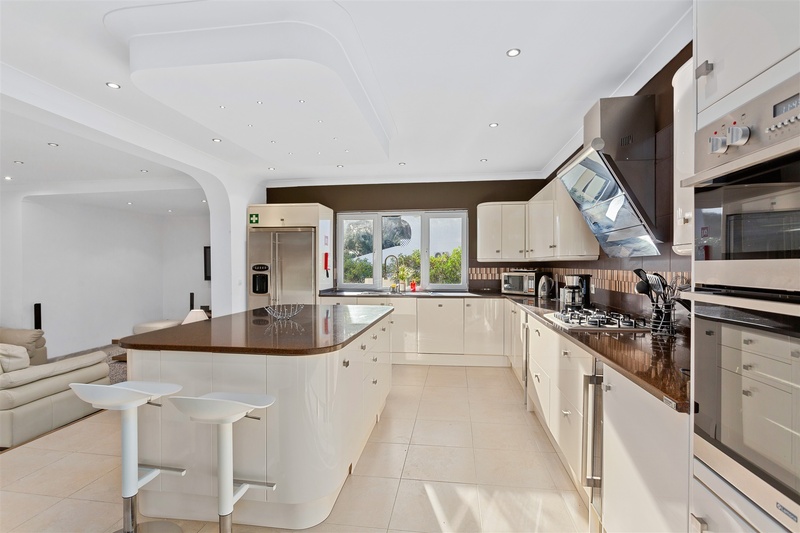 Villa Christina is a stunning 5 bedroom/ 5 bathroom detached villa with large private (heated) swimming pool, located in a very desirable area of Vilamoura. 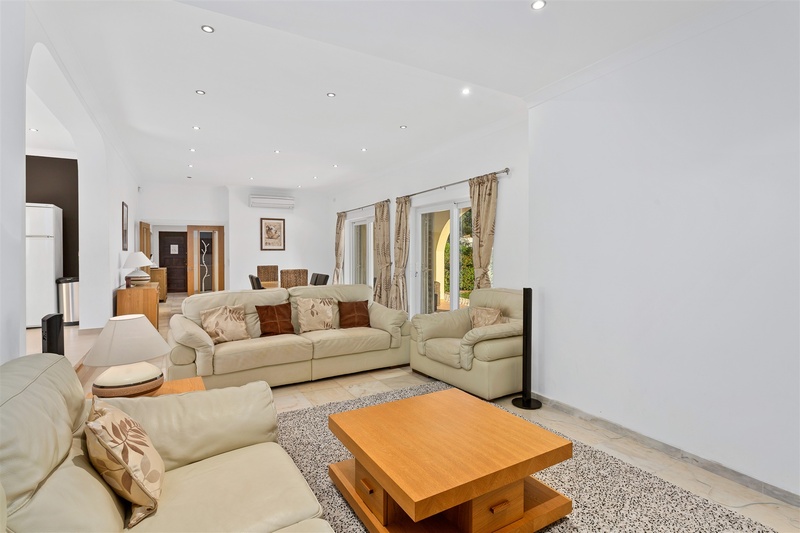 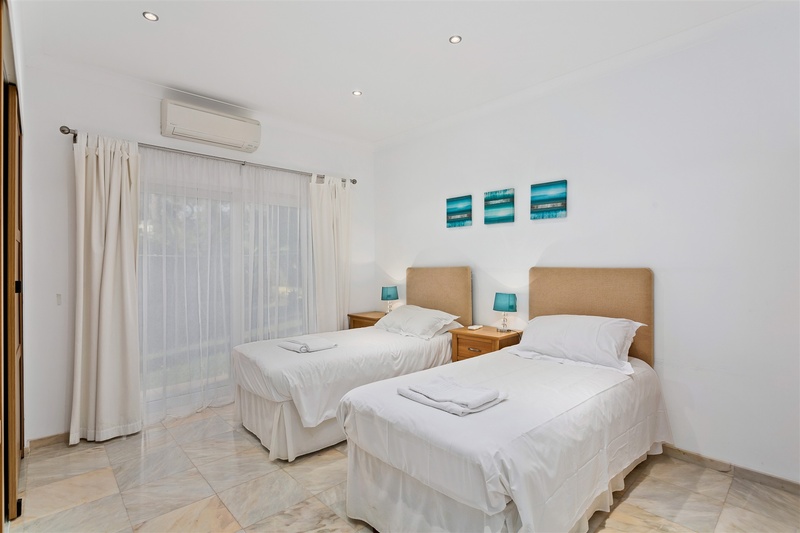 The villa has been decorated to an extremely high standard and offers everything one would expect from a luxurious holiday villa, including electric gates, alarm system and air-conditioning throughout. 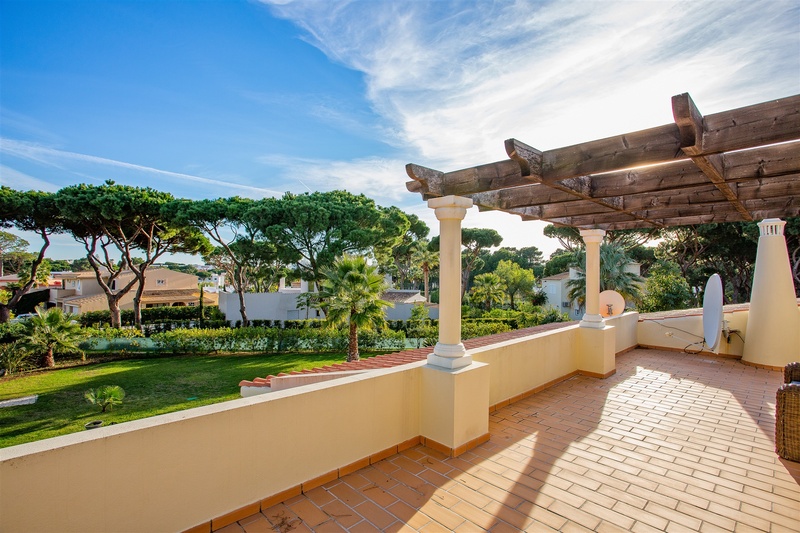 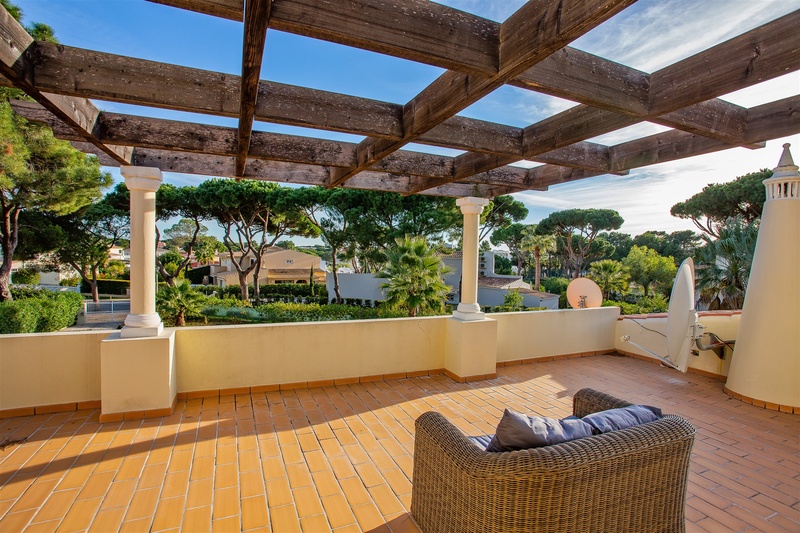 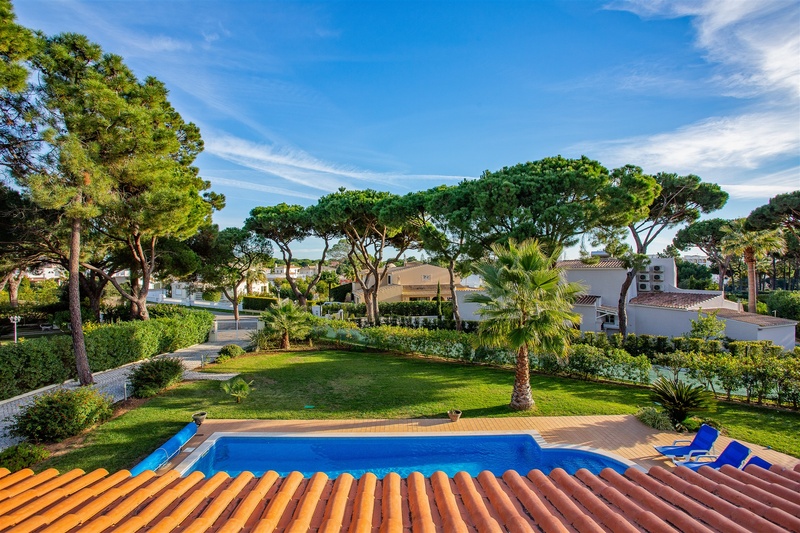 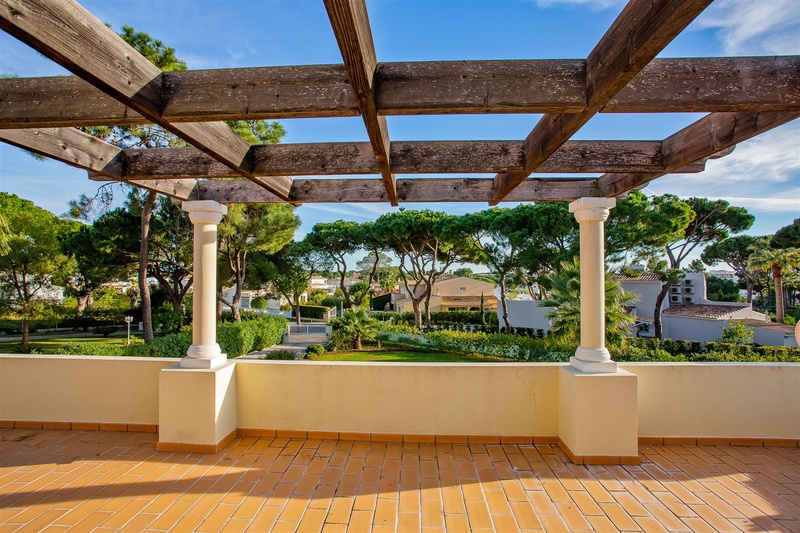 The location provides an ideal setting for a family holiday as it is tranquil and relaxing yet not far from amenities, beaches and Vilamoura marina. 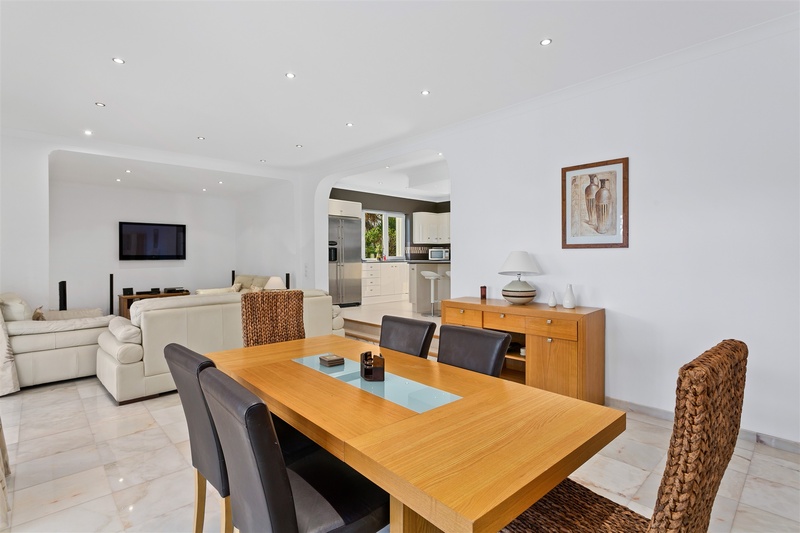 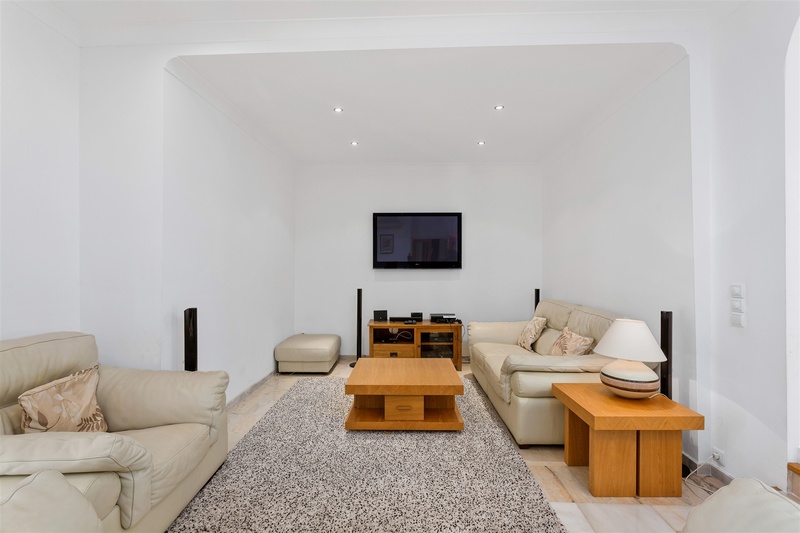 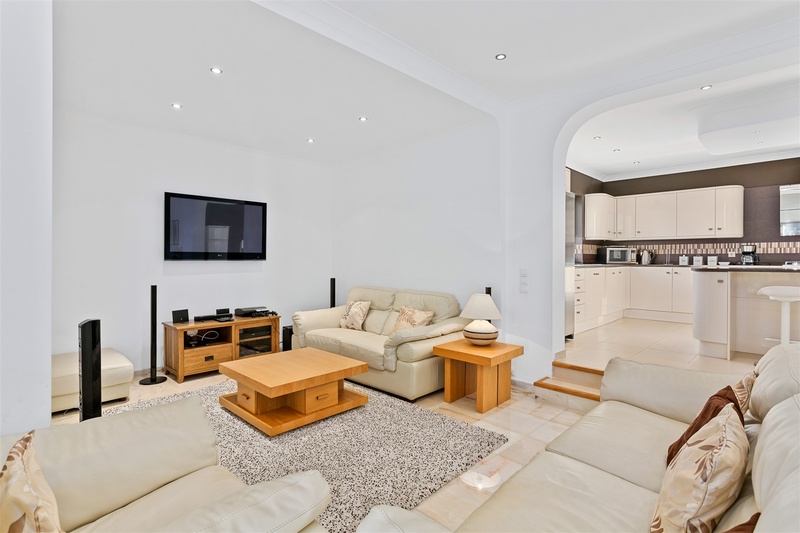 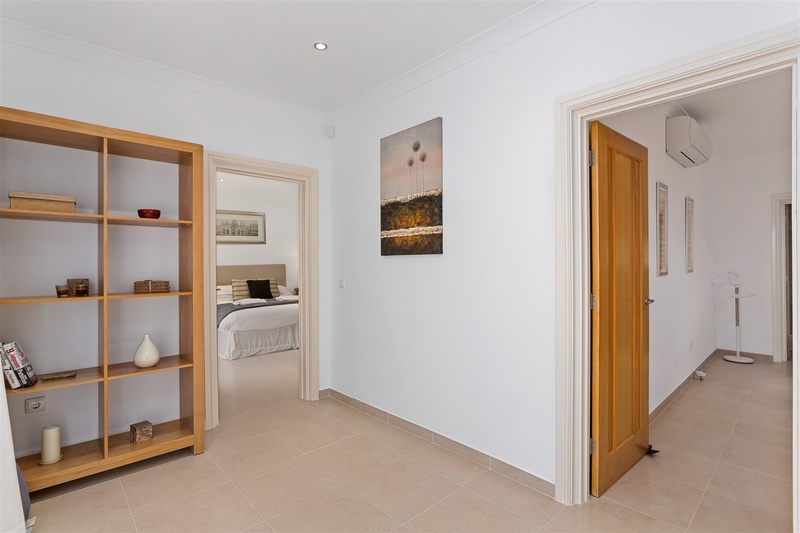 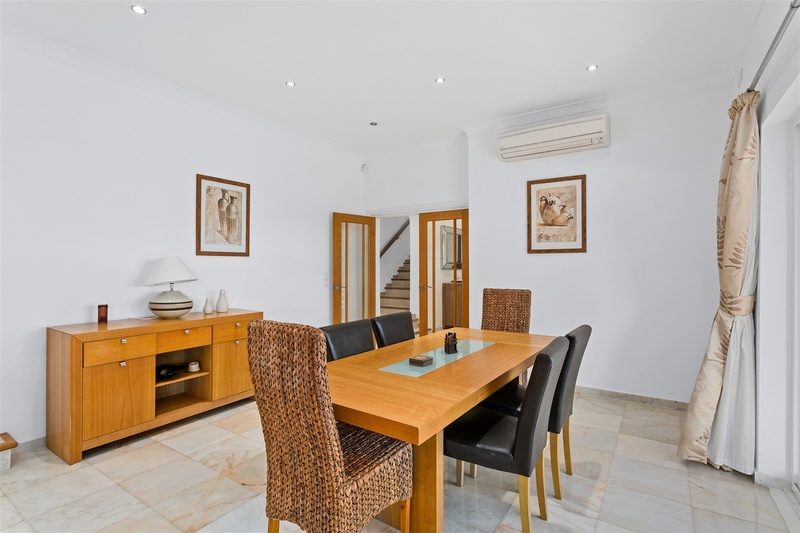 •	Open plan living and dining room with air-conditioning and large screen English-speaking TV and Wi-Fi. 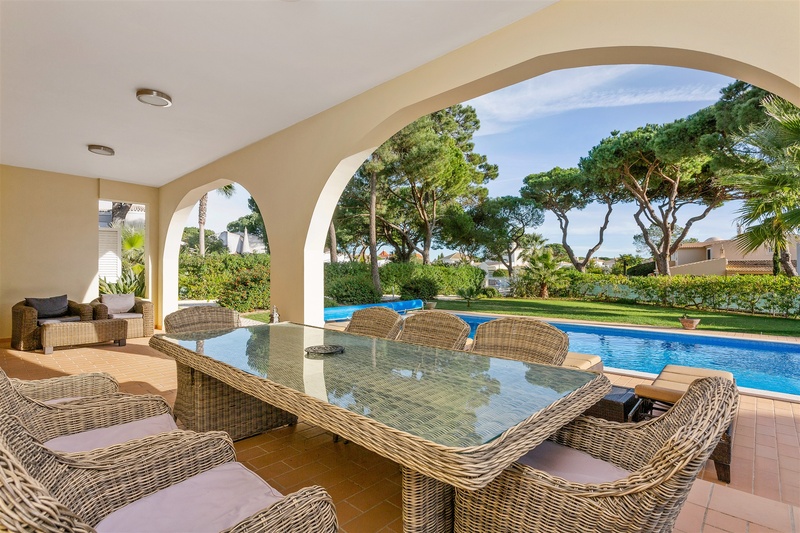 Patio doors lead outside to large terrace with soft furnishings for outdoor dining, overlooking the pool and landscaped garden. 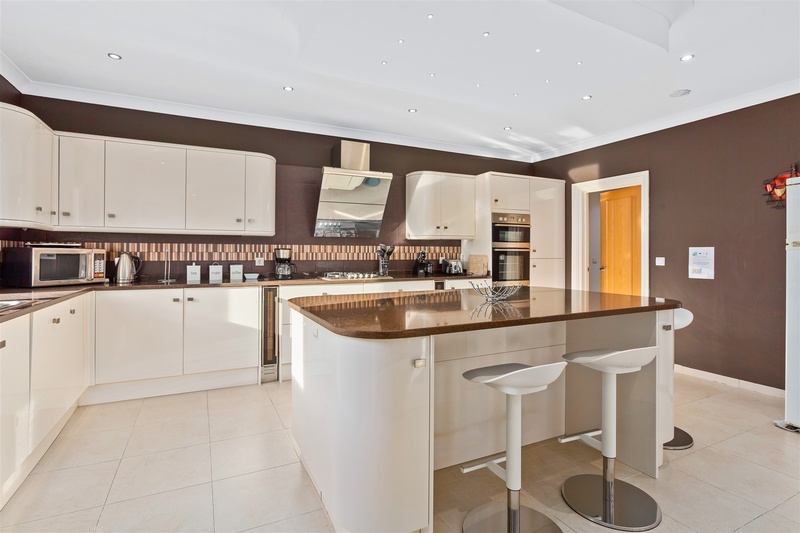 •	Beautiful, fully-equipped, spacious modern kitchen with gas hob, electric ovens, American-style fridge/freezer, wine chiller, dishwasher, microwave, toaster, kettle, coffee maker. 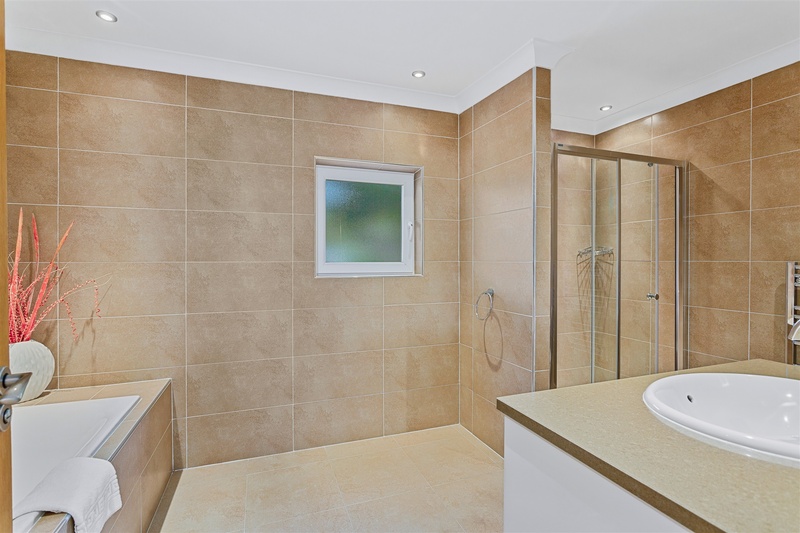 There is a separate utility room leading from the kitchen where there is a washing machine. 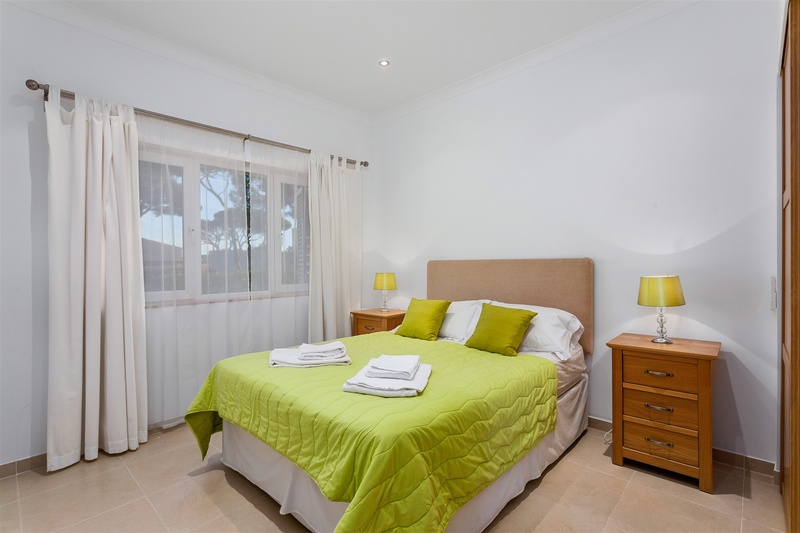 •	Bedroom 1 – Double with air-conditioning, fitted wardrobe. 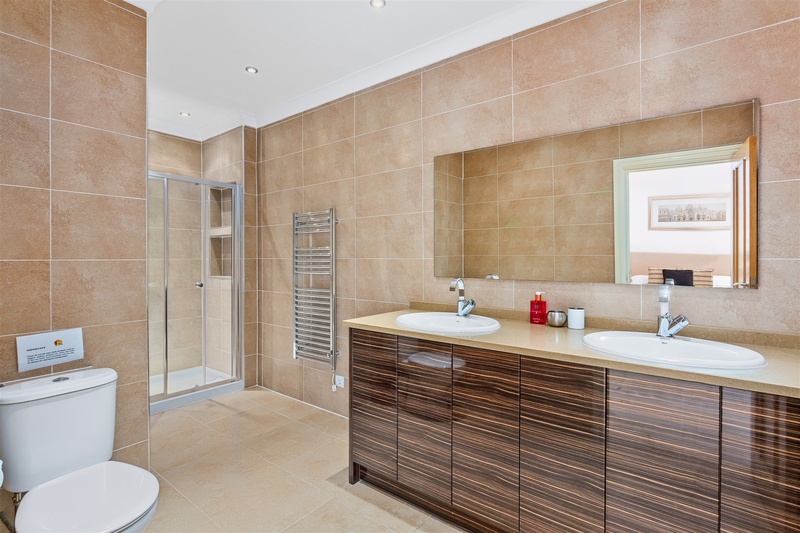 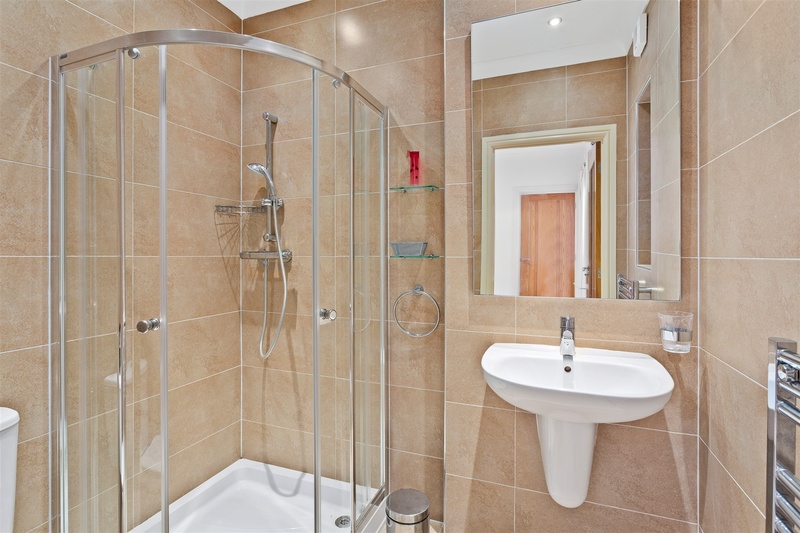 Bathroom en-suite - walk-in shower, WC, single sink vanity and heated towel rail. 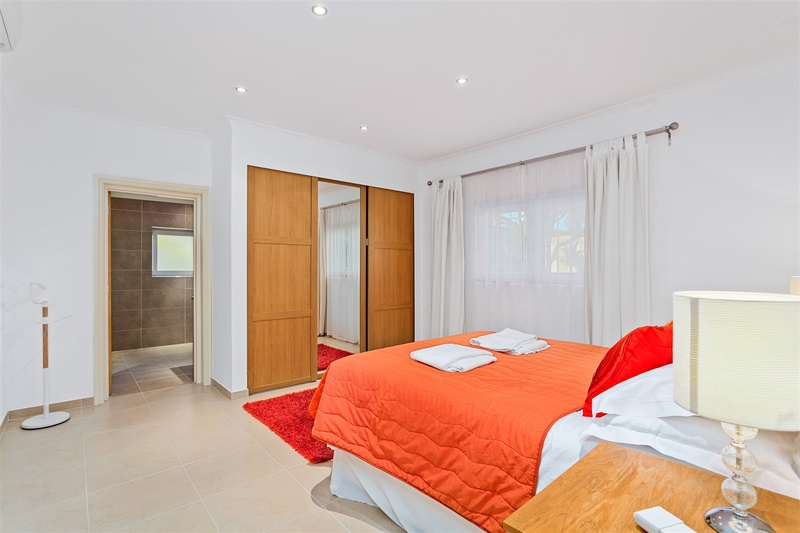 •	Bedroom 4 – Double with air-conditioning, fitted wardrobe and en-suite bathroom including walk-in shower, WC, bath and single sink vanity. 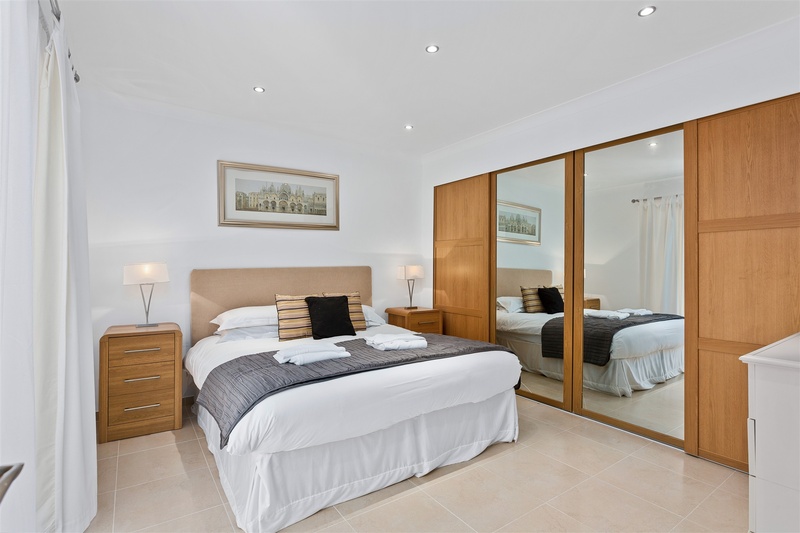 •	Bedroom 5 – Master suite with air-conditioning and fitted wardrobes. 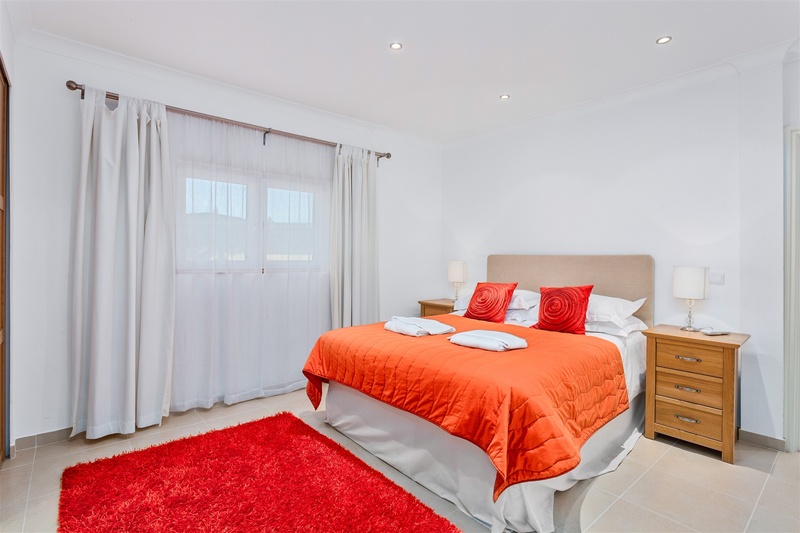 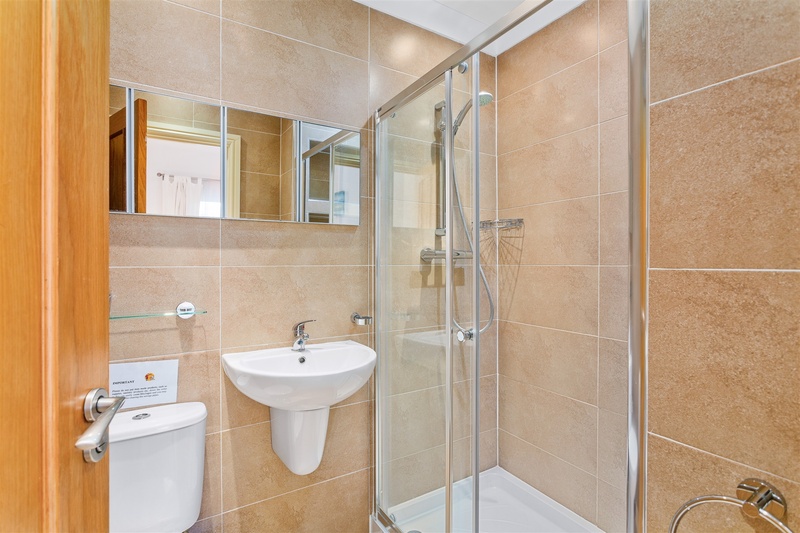 Spacious en-suite bathroom with walk-in shower, double sink vanity and heated towel rail.